We are your local electricians and plumbers. Our reviews speak for themselves, if you're looking for a reliable company who can provide a second to none service with time served engineers, excellent office staff and a happy team from top to bottom, then simply give us a call or come and see us, and we will take care of the rest. 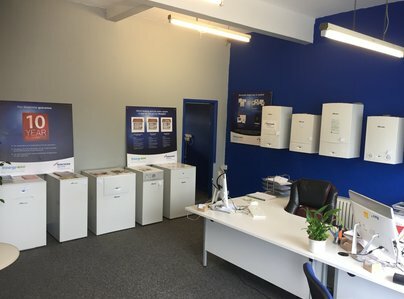 We have an office and showroom based in Cuddington, Where you can come and view worcester boilers and speak to us in the office about any jobs you may require. Quick response professional service all round. Excellent job. Very efficient & clean. Pleasant. Quite happy with work carried out, would recommend firm to friends. Speed response to my enquiry. Staff efficiency on time & performance. Would certainly recommend to others. Rapid service which is most appreciated from a proficient staff member.